Whether you're seeking to beautify an existing fence on your property, install a stunning new vinyl or chain link fence, advertise your business, implement a highway improvement project, screen a tennis court, ball field, daycare center, or other large area, Fence Fabric offers attractive alternatives to the plastic privacy slats or standard green screen material that were the only options until now. 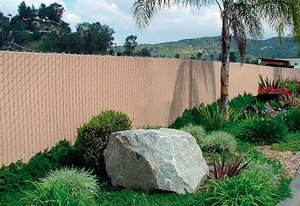 Fence Fabric is a unique product using vinyl that will transform an ordinary fence into a classic stone wall, a beautiful hedge, a pristine landscape, or another high-quality design of your choice while also increasing privacy and security. 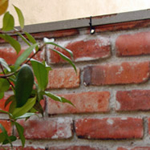 Our vinyl fence, chain link fence, privacy fence and other fencing materials are all durable and can weather any storm. 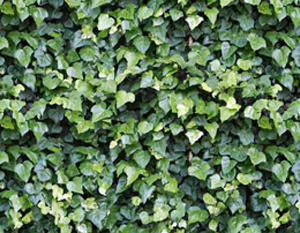 Fence Fabric, which uses vinyl fences, can take the place of more expensive stone, wood, or brick structures in landscape plans or can be used to create lush plantings instantly without waiting for trees and flowers to grow. These are just a few of the virtually limitless possibilities that can be achieved with versatile vinyl Fence Fabric products.